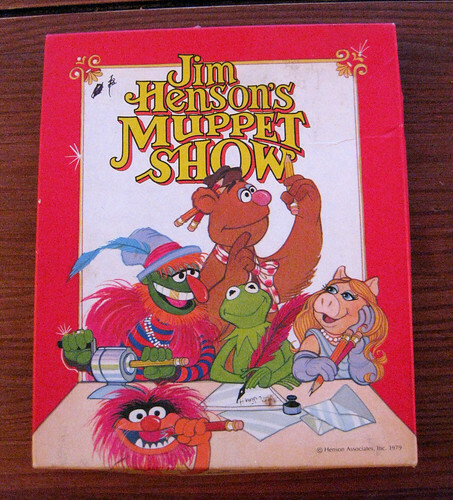 For a stationery hound with a Muppet obsession like me, this 1979 Hallmark Muppet Show stationery is like the holy grail. Man oh man. I trolled eBay for quite some time hoping this puppy would show up. It's like Muppet meta - they're writing letters! I would like to note for the record that Kermit is clearly left-handed. 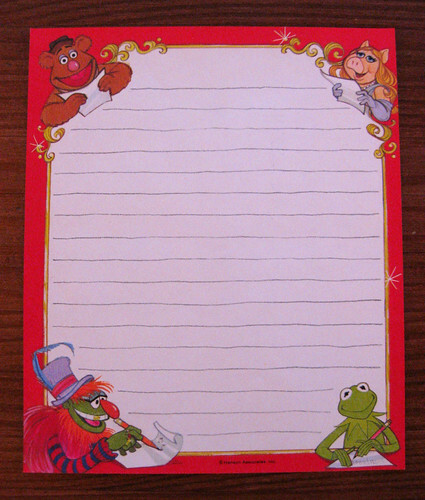 I have a few Muppet notepads from this era (yeah yeah, to be photographed and posted "one of these days"), and it also shows Kermit as a leftie. I don't send the precious Muppet stuff unless I know you like Muppets. Are you Muppet-worthy? Tee hee. 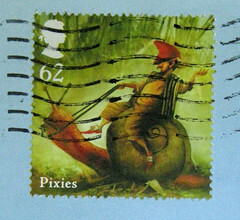 I'll try to remember to use it for your next letter. Just a piece of trivia, almost all muppets are lefties because puppeteers are majority righties and so doing everything in reverse they have to do stuff as lefties. Like all of The Electric Mayhem is left-handed. Thank you, this obsessive dorky moment brought to you by the obsessive muppet dork. NO WAY! That is so freakin' cool!! Maybe Dr. Teeth is ambidextrous - he's using his right hand to write here. But he kinda has to be ambidextrous, being the keyboard maestro and all.